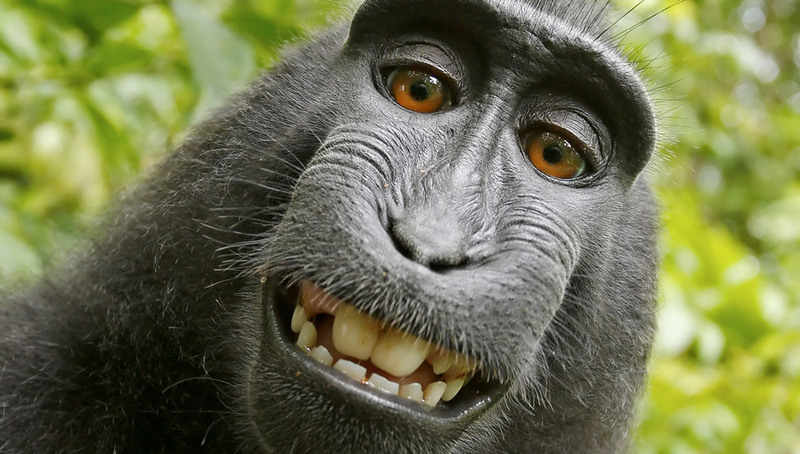 For those who missed the story, or have yet to read the Wikipedia article “monkey selfie copyright dispute,” British nature photographer Slater’s tale involves the use of images taken by wild crested macaques. PETA, in one of their, pettiest, PETA-est complaints, argued that the copyright of the photos taken by these little primates (using Slater’s rig) should belong to the Old World monkeys themselves, regardless of their understanding of human media laws. Potential spoiler: Slater won this thing, but, after multiple lawsuits and appeals, agreed to donate some of the photos’ proceeds to wildlife organizations. PETA has yet to weigh in on whether the monkey’s life rights should be de facto included in this deal. Similarly, PASP (People for Andy Serkis Parts) has not yet declared this a criminally obvious role for a certain actor.